This is a stunning ROLEX EXPLORER from 1958 having an original and beautifully aged bullseye dial with original Dauphine style handset. What a dial! The 34mm. 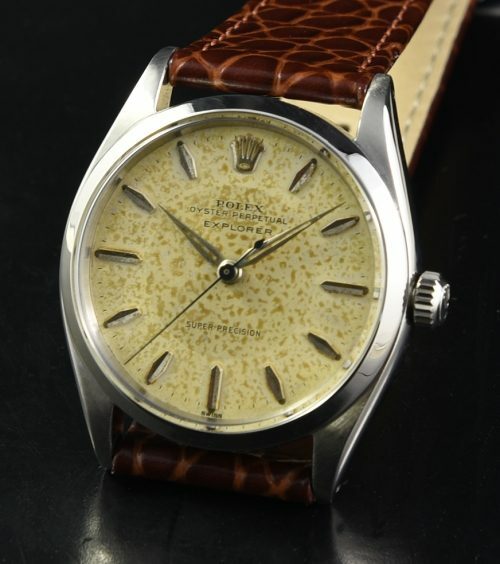 original ROLEX OYSTER case sparkles. The original cal. 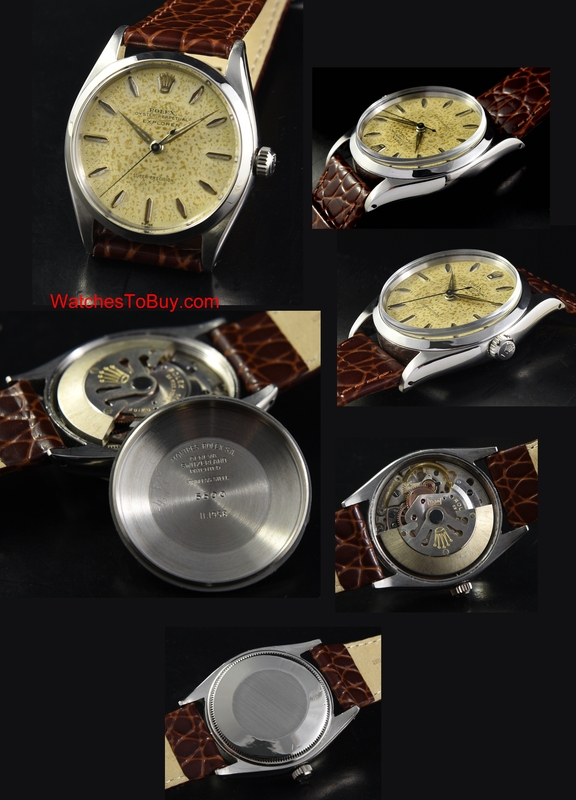 1530 automatic ROLEX movement was cleaned and is accurately keeping time. We are finding fewer of these vintage original EXPLORERS these days. Just $3150 for this eye-grabbing example.